With more than 100 remediation projects completed, a highly-trained senior management staff with more than 100 combined years of thermal experience and a tried and true process, NELSON can be counted and trusted upon when it comes to thermal process consulting. NELSON is one of few very remediation companies in North America that owns and operates its own fleet of mobile thermal equipment. Operating 24 hours a day, seven days a week and 365 days a year, we are there to serve clients in need of thermal consulting. We have been in the thermal consulting business for 22 years, completed projects in Alberta, Canada, the United States, and internationally. This includes completing work in the most extreme conditions on the planet, from the tropics to above the Arctic Circle, not only to a specific timeline but also to meet specific qualifications and certifications. 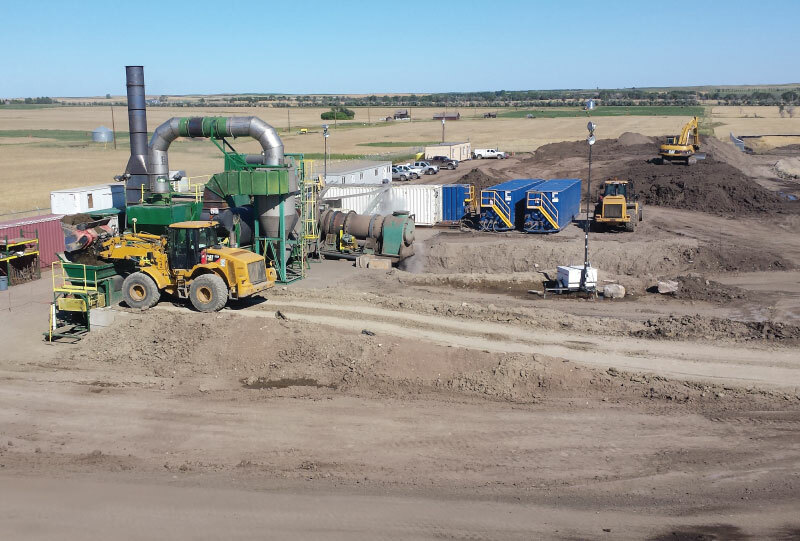 On top of being in the remediation industry for 20 plus years, NELSON’s management staff has been in the road building, oil lease and heavy soil excavation business for more than 40 years. We have treated millions of tonnes of contaminated soil and through our process, returned it to beneficial re-use. Through our 100 plus completed projects, we have treated soils with various contaminants of concern in challenging environments. NELSON offers technology transfer with equipment sales and as an international remediation firm, we are capable of operating anywhere in the world. As part of our thermal process consulting practices, we work with potential equipment clients to assist them in designing and fabricating thermal treatment equipment. We strive to provide technically sound thermal consultation for potential clients, whether that is thermal equipment that needs to be sold, providing our expertise on proceeding with excavation activities and operating thermal remediation equipment, and guiding a client through the steps of completing a large-scale project. NELSON is also capable of operating as a prime contractor of a sub-contractor and we will work with companies to form joint ventures in other countries.